Since the day someone put a pencil in my hand, which was around age 5, I think. My father introduced me to comic books when I was about six. He allowed me to sit and read them at the table while he sat across me from me and read them upside-down. He read them to me at night, doing all the voices and narrations, and I tried to draw my own. My mother had a friend who was an x-ray tech and she’d give me the long, yellow papers that were put between x-ray films when they were boxed. I used those to make my own comics and it was a short step from there to writing my own books. During study hall, I wrote stories when I was supposed to be doing homework. In high school, I wrote for the school newspaper and for the newspaper and magazine in college, and finally, when I was an actual adult and out in the Big Bad World, I began writing in earnest. I kept sending in submissions until one of them didn’t come back and a contract arrived in its place. That story was my novella Vampires are Forever, published by Class Act Books two years ago. 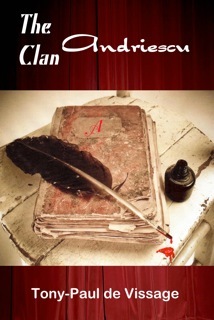 My current novel is called The Clan Andriescu. 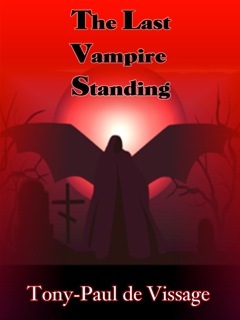 It’s a collection of short stories about a family of exiled vampires who meet a young boy named Tony-Paul on a Savannah, GA beach and tell him their story. There are three of them and each story narrates what happened to that particular family member. I guess my favorite character that I myself have created would be Marek Strigoi, ghidaj (leader) of the Strigoisti or the Shadow Clan of vampires. He’s the main character in my series The Second Species which is scheduled for release by Double Dragon Publishing. I just turned in the first edits this week, in fact. As Mr. Spock’s father said, “At the time it seemed like the thing to do.” I don’t think I had much choice in the matter. If you’re a writer, you have to write. I recognized that fact and accepted the challenge. Who are the writers who inspire you the most? Just about anywhere. All I have to do is use a little imagination. Which cereal do you remember for breakfast? Hey, I’m a Southerner! I have grits for breakfast! With lots of butter and a side order of cheese toast. When I was small, it was Tom & Jerry. Now, it’s Archer. It was called Deadman’s Eyes with Lon Chaney, Jr. It was made in 1945 but I saw it many, many years later at an art revival theater when I was around 6. My mother was definitely NOT a censor when it came to dragging me at a very young age to questionable movies. It was about cornea transplants which tells you how long they’ve been doing those. Star Trek (any series) and Firefly. Looking forward to NBC’s Dracula series this Fall, too. Candy. Cadbury’s chocolate. I prefer my boiled eggs deviled. I’ve always had pets. Cameleons…June bugs tied on a string…turtles..cats…dogs…horses. Can horses be called pets? For years, we had Alsatian shepherds which we’d been misleadingly told were border collies. It was years before we found out otherwise. Later, we switched to poodles. My favorite childhood pet was an Alsatian named Chippewa. My favorite pet as an adult was a miniature poodle named Conan the Barkbarian who thought he was a Yorkie. He name was Lucille Comer. She was my 7th grade teacher and she encouraged every child in her class to express themselves through writing. Every week we had a day when we could read something we’d written. I invariably went in for mysteries though once I actually wrote a vampire-themed story whose heroine was named Batavia. Oh night, definitely. Both my muse and I believe any hour before 3 in the afternoon should be outlawed. Difficult choice…may I get back to you on that one? Season: Late Spring when the weather’s cool at night and not too hot during the day and the flowers are beginning to bloom. Nothing like a spring Southern night with a breeze blowing the smell of honeysuckle through the bedroom window. Movies: Anything with vampires, satire, or explosions. If it’s got vampires, satire, and explosions all in one film, that’s even better! Marius dropped onto it and waited. For a few moments, she just sat there, studying her hands, quite a different woman from the self-possessed Southern lady who’d hosted the gathering only a few minutes earlier. Silently, he studied her face. The blonde hair was now almost white, a lustrous gleaming under the incandescent lights of the sitting room. She wore it at the nape of her neck, an elaborate twist of a platinum chignon. The body under the sky-blue crepe gown was thicker, shorter than the slender girl he’d known in Paris, her face finely-creased, skin soft with crepe-like wrinkles and crow’s-feet. Marius didn’t care. All he saw was Caitlin…his Caity…the girl he’d run away from forty-five years before because he’d begun to care too much. …and then big brother put the kibosh on his plan. “I’m not ready to get married,” Val protested. Damn it, I’m not ready. I’ve still got a couple of handfuls of wild oats to be tossed about. Val wanted to argue, but he knew there was no use. The Head of the House had spoken. He had to obey. 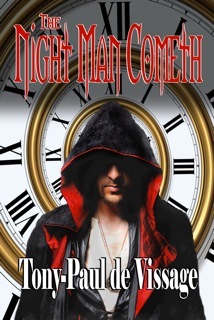 COUSIN TIMON…being married to the most famous writer of vampire novels since Anne Rich can be exciting, until Laura writes an expose proving vampires are real. The studied him as he walked toward her with the most graceful stride she’d even seen in a man. He moved like a dancer. Writer’s imagination briefly overcame her concern. Slender, not much taller than she, his most arresting feature, other than that statue-perfect face, was his hair. It was silky and pale ash-blond, hanging in a thick fall past his shoulder blades. Handsome. A miniature Apollo. Fascinating. I wonder sometimes if we haven’t lost something relative to comic books. Those were a staple at our house too, but I don’t see them around my grand kids houses. They really did stimulate the imagination in ways video games do not. An unfortunate loss of progress. Now, the boiled peanuts … I’m not so sure. I had a subscription to a She-Ra magazine when I was a kid. Loved it! Great author who tells wonderful stories in an interesting way. Absolutely! Something for other writers to strive for. Merci everyone for stopping by, reading the blog, and commenting. I appreciate it! And James…boiled peanuts taste a little like garden peas but nuttier.